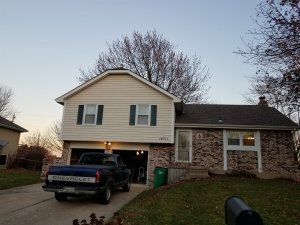 Sell your home quickly, for all cash in about a week - kcmoHomeBuyer. There are a lot of reasons for that make people sell their house: A Change in Jobs, Inherited Property, Divorce, Health or just the need for a larger or smaller home . . . the list is quite lengthy. For just about any one of these reasons the Tuckers at kcmoHomeBuyer.com offers solutions for folks needing to sell and not having quite the house, the money or the time to go through a conventional home sale. When you need to sell your home quickly, for all cash, and in about a week, kcmoHomeBuyer offers that option. When Mark and his siblings were faced with selling the home they grew up in and had so many memories, they were pressed for time. Mark and his sister no longer lived in Kansas City and his brother did not have the time . 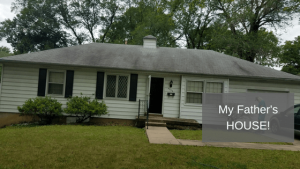 The house needed a lot of clean up and repair and the local Realtors wanted them to get it all fixed up to get it listed. All those things added up to time that they just did not have to devote in getting the houses sold. They wanted a cash offer, that closed in a week or so, so they could pay the bills for their mother’s estate, divide up the remainder and get back to their normal lives. They found our ad on craigslist and gave us a call. We made a cash offer that closed in 2 weeks that gave them time to go through their mothers stuff, have a big garage sale and then we had local Blue Springs Charity that we work with help them with cleaning out the items that did not sell. After we had the house all fixed up, we invited them back in to see the finished house, they were so sad selling the family home and seeing it in need of a lot of TLC. Don and Kim Tucker, owner of kcmoHomeBuyer, started their business in 2000 and they have bought and sold numerous houses, which allows them to walk into any house and take a look at the needed repairs and make a solid offer. They also have a group of private partners that fund all of their deals so there is no need to wait for lengthy bank approvals. 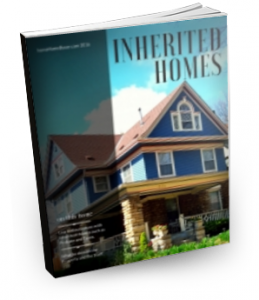 In 2011, their son Scott Tucker joined the business and has learned the same skills at valuing properties and then offer homeowners the best advice he can on how to sell their house. 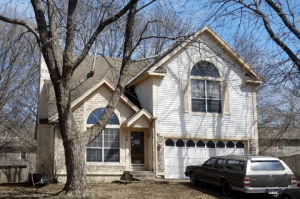 Sometimes, based on the situation, the best course is a cash offer from kcmoHomeBuyer and sometimes the best course is to list it for sale the traditional route. After you call kcmoHomeBuyer, you will talk with Don or Scott about your house and your situation. One of them will then come out to your house to take a look and then make you an offer, usually within 24 hours. This will be an all cash offer than can often close with in about a week . . . or longer if that better fits the seller’s needs. With Mark and his siblings, the cash offer was exactly what they needed. However we have had other sellers that wanted to take the time to make their home shine and go the traditional route. Scott is able to help there by either listing the home for those that have the time to spend to sell for a bit higher price or by referring to a Realtor that specializes in the area. If the home you want to sell needs repairs, Don is the guy to talk to, he often helps sellers who want to make some upgrades to their home, but don’t want to go to the yellow pages to find people to do the work. They consult with us to hire a roofing contractor or a painter, or to find someone to replace with windows or the furnace and air conditioner. By working with the preferred contractors that kcmoHomeBuyer uses, you can know you are getting quality work and a cost that people like us who are in the business expect, rather than the over priced fees the guys in the Yellow Pages charge. So when you are ready to explore your options to see if you want to sell it for all cash, as-is, with no repairs to us. List for sale cash, as-is, with no repairs . . . or maybe do a bit of fix up and then list it for sale, give us a call at 816-800-9044 or fill out a form here on our site to tell us about their house. After a short conversation with Don or Scott, you will know better where you stand and know your options.